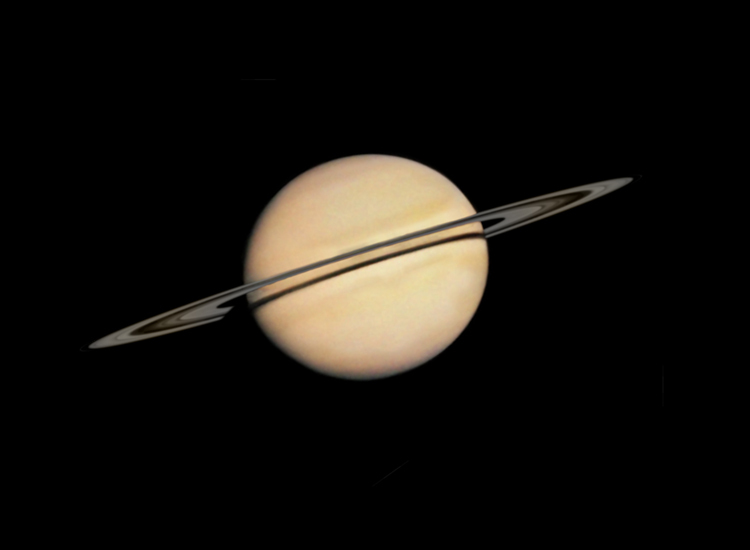 Today in 1979, Pioneer 11 made its historic flyby of Saturn, humanity's first. 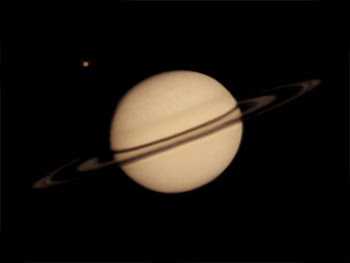 While it got the first closeup images of the Saturnian system, it's images, such as this one showing the rings and a transiting Mimas, while interesting, were no match for the more spectacular images that the Voyagers returned of the Jovian system that year, and were quickly supplanted by the Voyager visits to Saturn in the coming years. 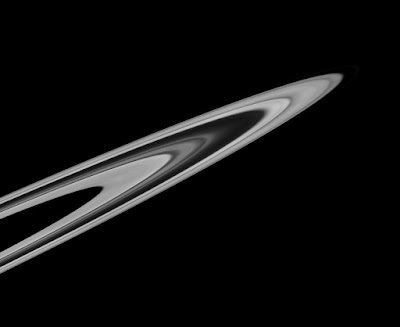 Due to trajectory constrains, Pioneer approached and receded from Saturn looking at the backlit side of the rings, something never seen from earth except briefly when the rings are nearly edge on during ring plane crossings. Thus its view was interesting but also unfamiliar. Receding from Saturn. Due to data rate constraints, only every other pixel was returned, hence the reduced quality. 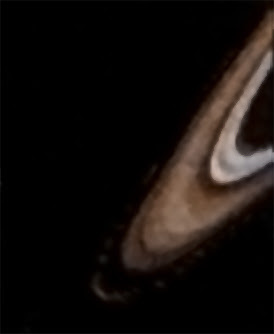 During closest approach, Pioneer briefly passed through the ring plane and back, in theory giving it a view of the sunlit side of the rings. Given the speed at which it was traveling and that it's scanning imager, which built up images one pixel at a time using the spin of the spacecraft, took a long time to assemble pictures, not much could be done with this. 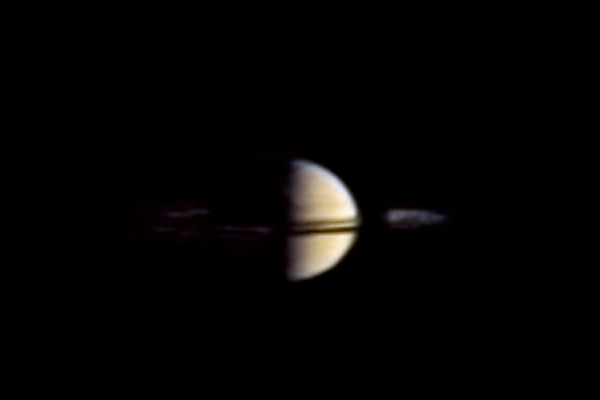 The instrument did have, however, a lower resolution mode that was for the purpose of polarization studies, which could only take very crude images (if they could be called that). It could, however, work fast enough to capture the fleeting view. Here is an example of one. The daylit side of the rings in front of the panet, with the limb visible behind them. These images can be built up into a pretty nifty model of the rings. While it is neither the view normally associated with Pioneer nor should it be, it brings us full circle, seeing a world and its rings in a more familiar way as it looked 38 years ago, the day we first stopped by its doorstep while, at the time of writing, we sit 14 days before our first long-term visitor becomes one with Saturn. After 1981, which marked three consecutive years with an encounter, it would be another 23 years before humanity returned with Cassini. Let's hope that our imminent absence is brief.